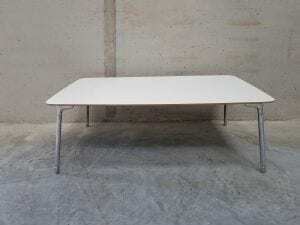 We currently have this used Low White Rectangular Coffee Table in stock, which you can view properly by clicking on the images to the left hand side of this page. Dimensions: 1040 x 640mm. 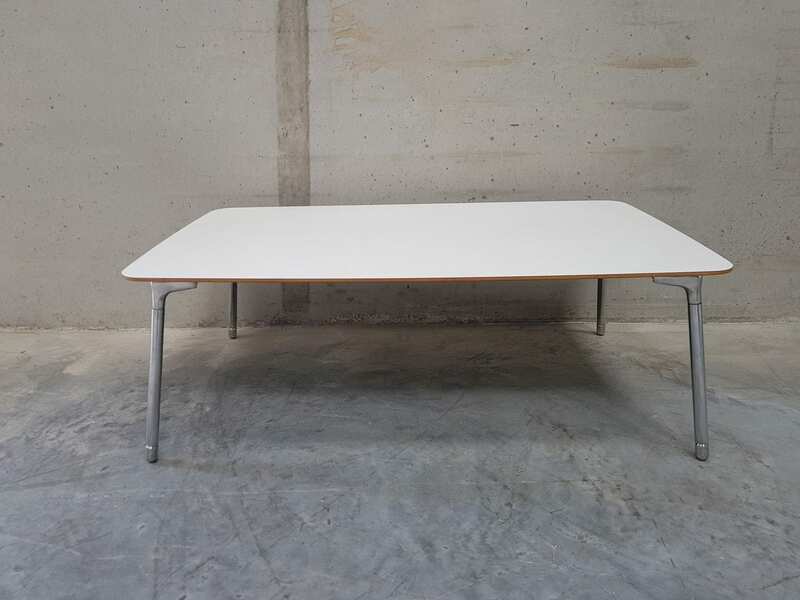 This coffee table sits on brushed aluminium legs and would add understated style to any reception area or workspace. If you were unable to find exactly what you are looking for, please check out our other second hand tables. Just click on the link provided, or simply enter your details into our ‘Request a Quote Online’ form below and one of our sales team will be in touch very soon.